Portland, OR (Oct. 1, 2018)—A coalition of animal protection and wild horse advocacy groups filed a motion Friday for a preliminary injunction in U.S. District Court in Oregon to stop the Bureau of Land Management (BLM) from performing risky and inhumane sterilization surgeries on wild mares in Oregon. The procedure involves blindly locating and severing the ovaries while the animals remain conscious. 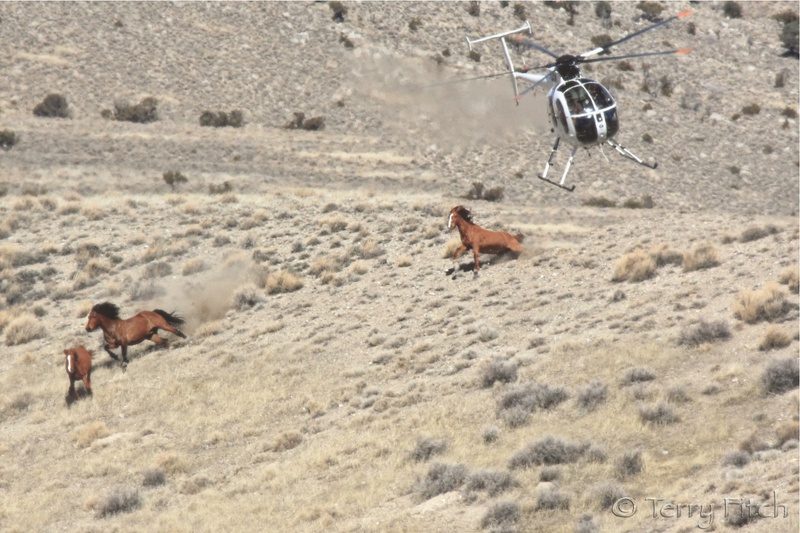 The preliminary injunction motion was filed by the public interest law firm Meyer, Glitzenstein and Eubanks LLP on behalf of the Animal Welfare Institute (AWI); The Cloud Foundation (TCF) and its executive director Ginger Kathrens, who is also the Humane Advocate on the BLM’s National Wild Horse and Burro Advisory Board; the American Wild Horse Campaign (AWHC); and wildlife photographer Carol Walker, who is also a director of field documentation for the Wild Horse Freedom Federation. At issue is the BLM’s decision to proceed with surgical sterilization experiments on 100 wild mares from the Warm Springs Herd Management Area in Oregon, despite significant public outcry, veterinary opposition, and the withdrawal of Colorado State University which was previously slated to partner with the BLM and oversee the experiments. After CSU withdrew in August, the BLM announced two weeks later that it would nevertheless proceed with the plan and simply dropped the objective of determining whether the experiments were humane. 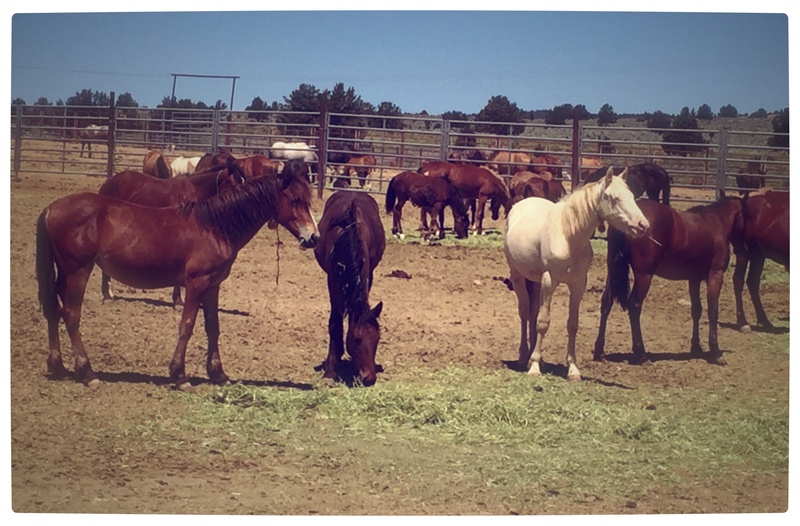 The BLM now intends to begin performing the highly invasive and risky surgery—known as “ovariectomy via colpotomy”—on the mares at the agency’s Hines, OR, facility beginning on November 5. “Ovariectomy via colpotomy” is widely regarded to be an outdated and inhumane surgical procedure. The National Academy of Sciences explicitly called this procedure “inadvisable” due to health risks in its comprehensive report on wild horse management. Under this method of sterilization, a veterinarian inserts his arm into a mares’ abdominal cavity through an incision in the vaginal wall, manually locates the ovaries, then twists, severs and removes them using a rod-like tool with a chain on the end. The BLM’s experiment involves performing ovariectomies on pregnant mares—which carries significant risks to both the horses and the unborn foals—in an effort to quantify the incidence of abortions that would result. AWI and the other plaintiffs initially filed their complaint on Sept. 21 against BLM, citing violations of the U.S. Constitution and three federal laws. Further complicating matters is the BLM’s refusal to allow meaningful observation by independent observers. The lawsuit argues that this refusal violates the plaintiffs’ rights under the First Amendment to observe and document these experiments—a critical component of the public’s ability to understand how the BLM is attempting to manage federally protected wild horses. By Law Offices of Barry G. Doyle, P.C. Unnecessary surgery is a type of medical malpractice. A form of medical malpractice that has become an alarming and growing problem in the U.S. is unnecessary surgery. This type of malpractice can lead to life-threatening complications and completely alter an individual’s life. When a surgeon performs an unnecessary surgery, it is an act of medical negligence. Doctors should take every precaution before deciding to prescribe any type of invasive surgery to a patient. When there is a failure to do this and it results in unnecessary surgery, they may be held legally liable. Unnecessary surgery can lead to serious or even life-threatening complications. Some of the risks include hemorrhaging, damage to organs, infection, amputation and anesthesia errors. Putting animals through unnecessary surgery where they face complications that could significantly alter their life is a form of medical negligence. Injuries from this kind of negligence could result in filing a medical malpractice claim. What ever happened to the complaint to a medical board regarding the vet who was shown as doing these experiments? I remember reading that there was a complaint made – but I dont remember ever hearing the results of that. Do you? Certainly – from what other veterinarians have stated – performing this surgery on a domestic mare is questionable unless there is an emergency – but on a wild prey animal? It goes beyond questionable. We are not in China stand up for our wild horses now. Perform surgery on blm now. Stand up for our horses and all animals now. I hope someone will research what the status of the complaint against Leon Pielstick is currently – and share it with us. By Law Offices of Barry G. Doyle, P.C.” could be included in the notification to the senators and congressmen and media. So the question is: exactly WHAT did this board decide? 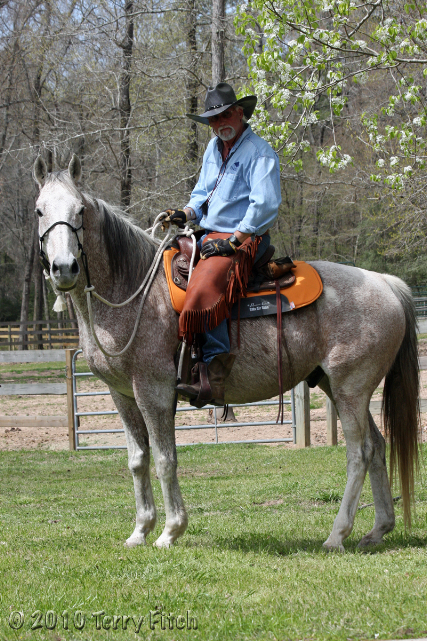 This guy, I assume, is still planning to experiment on these wild mares – IF the board actually read that entire document how could they allow this person to continue to claim himself a veterinarian? What does it take after to stop this2 Universities have backed out? Hopefully the injunction will be successful. But I still say this so-called dr needs to be charged with animal abuse/cruelty & lose his ability to “practice”. My fingers must have gotten a little carried away – but what DOES it take to stop this? Note the BLM plans to do this ONE DAY BEFORE THE MIDTERMS folks. Make your Senators and Representatives know your thoughts on this Nov. 6. 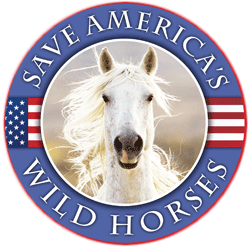 The BLM does not own these wild horses, the American public does, and they are mandated to care for them using “minimal feasible” means, which none of this undying proposal meets. That the public will not be allowed to document is beyond cynical, and I suggest any Senators or Representaves who support this supposed “research” should be required to observe and be documented as they watch horses bleed, abort, and die. That these same people are hell bent on controlling all reproductive decisions in women yet have no qualms about killing unborn foals (mares will be in some stages of pregnancy in most cases) is beyond the pale for me. I suggest any so-called Christians who support this read the words of Pope Francis on Care for Our Common Home, in which he lays out the gifts we were given and the responsibility we were also given for stewardship. None of this proposed butchery has any value scientifically, ethically, or morally. If you are pro life you are thus anti death, and anti the BLMs relentless death wish for America’s wild horses and burros. Icy – very good comparison – I agree wholeheartedly. Control seems to be the main purpose in both human and animal discussions. Ethics and morality dont seem to enter into the picture. Apparently, there was no problem for Dr. Pielstick with the Oregon Veterinary Medical Examining Board! And there was no Board meeting minutes after the one on March 24, 2018! I believe the complaint was made in May? Disciplined or restricted? There has been no discipline or restriction on this license. Thanks Maggie. I think that board only meets a few times a year so they may not have had a meeting since the complaint in May therefore the complaint would still be “active”? Are you able to contact that board and ask for recent and future dates of their meetings? The complaint was dated July 30, 2018. I’ll give it a shot – not being a resident of Oregon may make a difference!